With 9.1 million women-owned businesses in the U.S., bringing in $1.4 trillion in sales every year, there has never been a more exciting time for women in business. We sat down with two of our women-owned business tenants to help encourage and show support for women in business around the country. 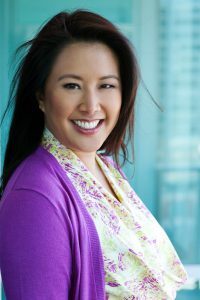 Dr. Karen Eng is the CEO of CSMI, a women-owned engineering company for the food and beverage industry, located at 1750 East Golf Road, Suite 490, in Schaumburg, Illinois. Recently named the first female Chair of the Board of the Illinois College of Optometry in 150 years, Dr. Eng assumed the role as CEO from her father, who began the company in 1983. CSMI now has over 25 employees, most of which work on-site at each client’s location. Once Dr. Eng got a better grasp of what she could do within her Boxer office space, she decided to be more philanthropic and active in the community. This led to her mentoring women in business and students with an emphasis on STEM (Science, Technology, Engineering, and Mathematics) education for the last four years. Women-owned businesses such as CSMI receive benefits such as tax incentives, the ability to enter new markets, and funding opportunities simply by getting certified as a women-owned business with the Women’s Business Enterprise (WBE) or the Women-Owned Small Business (WOSB) Association. Boxer Property supports women in business by helping match them with the right office spaces for their needs and ensuring a great, collaborative work environment for staff. 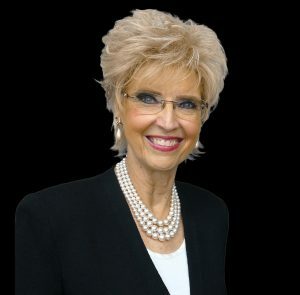 Barbara Gill, owner of Gill Digital Services, located at 4100 Spring Valley Road, Suite 920, in Dallas, Texas, is also passionate about supporting women in business and women-owned businesses. After operating five successful businesses with her husband, she launched Gill Partners, a division of Gill Digital Services, to help women-owned, minority, and mid-market clients to grow their businesses through procurement. Gill Partners benefits clients by being a WBE and WOSB certified business, as well as a turnkey total business solution. Boxer Property supports women-owned businesses, such as Gill Partners, by providing innovative office spaces and a personal, accommodating property management team that is focusing on ensuring a safe, happy, and creative work environment. A long-term Boxer Property tenant, Gill encourages women in business to choose a location that makes sense for attracting customers, to recognize and appreciate your clients, and to have patience. “If you know there’s a need, and your solution is well-fitted, persevere and pursue very energetically to make that need and that client a happy client,” Gill says. Boxer Property helps women-owned businesses such as CSMI and Gill Partners grow and thrive by being responsive to their needs, making conference rooms available, offering centrally located office spaces, and promoting collaborative workspaces with open layouts. Previous Previous post: Show Us Your Office Halloween – CONTEST!